Dalesway Walk in Cumbria and the Yorkshire Dales. 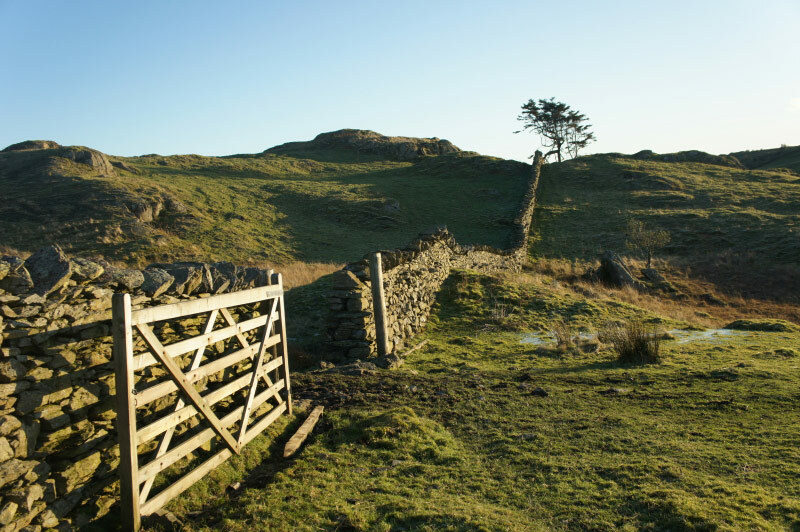 The overall length of the Dalesway Walk stretches for 84 miles between Bowness on Windermere and the town of Ilkley in Yorkshire of which 35 miles is within Cumbria. The walk has been designated as a Recreational Footpath by the Countryside Commission and as such is not considered a demanding exercise, although there are a few steep ascents/descents in the Yorkshire Dales. 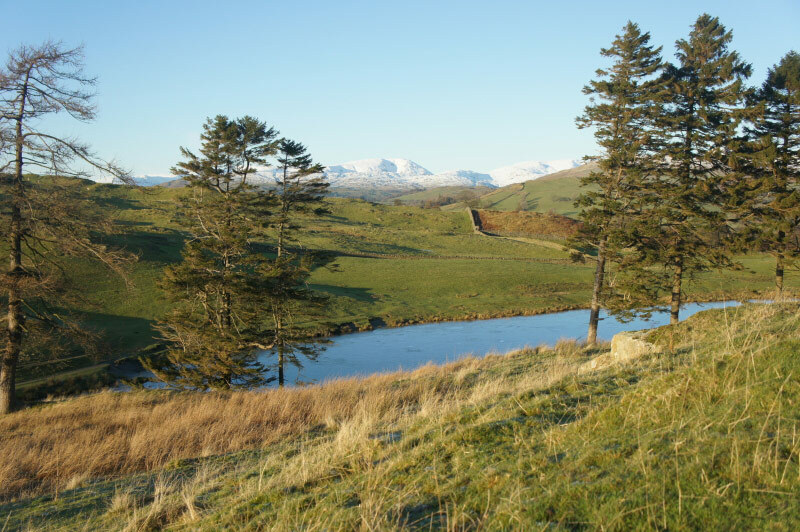 For those choosing to start from Bowness, the walk follows low level ground and provides some lake and mountain views, riversides and grasslands and passing through and close to Staveley, Ings, Kendal, Burneside, Garth Row and Grayrigg before arriving at Sedbergh. This old market town, at the foot of the Howgill Fells occupies a prime position on the Dalesway and many regard it as a base camp from which to explore all or just parts of the walk. Accommodation is plentiful and walker friendly. There are varied shops, a food store, Post Office, Bank, Cash point and bus services. Dent is the next Cumbrian stop. 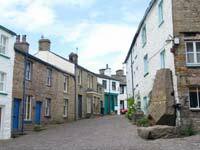 It is a large village community of neat stone cottages, a good range of shops, cafés, tea rooms, Post Office and accommodation with the walker in mind. The Museum of Earth Sciences and the Dent Village Heritage Centre provide a fascinating collection of exhibits and details of local history and development. A few miles further on is the hamlet of Cowgill, the last settlement in the Cumbrian section which stands close to the famous Settle - Carlisle Railway. 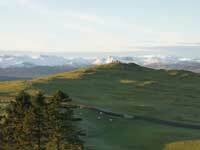 Now the walk enters the 680 square miles of the Yorkshire Dales National Park. This is an area of higher ground, deep valleys, rivers, waterfalls, dramatic views over wide open landscapes of solitude and tranquillity, and scattered remote village communities. The scenic journey through Yorkshire contains several items of architectural interest and among others includes the 24 arch Ribblehead Viaduct of the Settle – Carlisle Railway, the medieval church of Cray, the castle ruins of Barden and the 12th C Bolton Abbey. The traditionally Yorkshire styled village of Grassington provides all the amenities the walker may need of Post Office, Cash Point, Bank and a variety of shops. A Tourist Information Centre (01756-751690) opens 7 days a week, 10am-5pm April to October inclusive and on weekends only 10am to 4pm for the remainder of the year except for January when it is closed for the whole month. As with all long distance walks, forward planning is a bonus especially booking accommodation well in advance. Many Bed & Breakfasts are not able to process a payment by credit/debit cards and so it is adviseable to carry cash. Be prepared for changeable weather conditions in this part of the country. Strong footwear and good quality waterproofs are essential. Mobile phone signals may be interrupted during some parts of the route. Bowness on Windermere – Staveley – Burneside – Kendal – Garth Row – Grayrigg – Sedbergh – Dent – Cowgill – Ribblehead – Oughtershaw – Raisgill – Hubberholme – Buckden – Cray – Starbotton – Kettlewell – Linton – Grassington – Burnsall – Barden – Bolton Abbey – Ilkley. Bowness – Staveley. 6 miles. Staveley – Burneside. 4 miles. Burneside – Kendal. 1 mile. 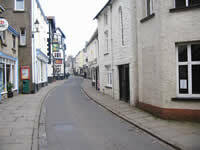 Kendal – Garth Row. 1 mile. Garth Row – Grayrigg. 3 miles. Grayrigg – Sedbergh. 10 miles. Sedbergh – Dent. 6 miles. 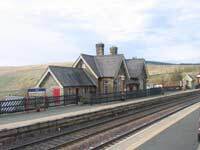 Cowgill – Ribblehead. 6 miles. Ribblehead – Buckden. 13 miles. Buckden – Kettlewell. 4 miles. Kettlewell – Grassington. 8 miles. Grassington – Burnsall. 3 miles. Burnsall – Bolton Abbey. 7 miles. Bolton Abbey – Ilkley. 6 miles. Don't forget your maps - Ordnance Survey Maps OL2, OL7, OL19, OL30, 297. Bowness together with the adjoining town of Windermere is the most popular visitor destination in the Lake District and Cumbria. Stunning lake and mountain views, shops, restaurants, cafés, gift shops, pubs, post office, banks, cash points and Tourist Information Centre. There is accommodation to suit all pockets. 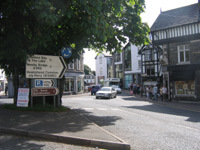 Regular bus services from Bowness promenade and a rail and bus service from Windermere Railway Station link to connections countrywide. Staveley is a peaceful village set at no great distance from, but out of earshot of the busy A591, a road said to be one of the most scenic in the country linking Kendal, Windermere, Ambleside, Grasmere and Keswick. Staveley is a very popular walking and cycling location where many head for the beautiful scenery, quiet narrow roads and footpaths of the Kentmere Valley. Shops, pubs, post office, chemist and a request railway station stop and regular bus services from and to Kendal and Windermere and beyond. A request stop railway station on the Windermere Branch Line and regular bus services connect Burneside to Kendal. A well stocked grocery store provides immediate needs and a comfortable pub serves a good selection of drinks and food prepared from local produce. Kendal stands close to Junction 36 of the M6 motorway, Oxenholme main line railway station, and on the Windermere branch line. It is a main stopping point on a network of local and countrywide bus services. Out of town supermarkets and individual shops within a pedestrianised area offer a wide range of goods plus Banks, a Post Office, cash points, cafés, restaurants, pubs, chemists, Tourist Information Centre, and a well stocked library containing an extensive range of guidebooks with many written by Alfred Wainwright. Grayrigg is a small community of a few houses, primary school and a church set in peaceful surroundings of gently rising countryside within a few miles of Junction 37 on the M6 motorway. An Animal Rescue Centre funded by the Alfred Wainwright Trust is close by. Sedbergh is one of Cumbria's best loved destinations for walkers and cyclists who go to walk and ride the paths and trails of the Howgills and the nearby Yorkshire Dales. Shops, Bank, Post Office, Cash Point and a wealth of holiday accommodation. Dent is a delightful small town set in a peaceful valley surrounded by fells close to the Cumbria/Yorkshire border. It's an ideal place for Dalesway walkers and cyclists to pause for a couple of days and put their feet up. Why not time the visit to coincide with the annual Dent Folk Festival or the Dent Music and Beer Festival. Amenities of shops, cafés, tea rooms, Post Office, Bank, Cash Point. Bus services operate between Sedbergh, Kirkby Lonsdale and Kendal. The few houses and convivial pub of Cowgill occupy a picturesque position in the wonderful scenery of the 10 miles long Dentdale Valley. 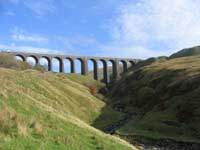 It is close to an area very well known for caving and potholing as well as exhilarating walks on the fells of Ingleborough, Whernside and Peny-y-Ghent and for railway enthusiasts, the Settle – Carlisle Railway passes nearby and over the much photographed Arten Gill Beck Viaduct. Enthusiasts and connoisseurs of real ale from Britain and abroad come to pay homage at the remotely situated Dent Brewery famous for its beer produced using the local waters of Dentdale. The nearest railway station is Dent. Regular weekday and Saturday services operate between Dent and Carlisle and Dent and Leeds. There is a reduced Sunday service. Call 08457-48-49-50 for further information or log on to Northern Rail. A Wednesday and Saturday bus service travels between Cowgill, Dent, Sedbergh and Kendal. Visit www.dentdale.com for timetable details. Those who travel by public transport can benefit from a variety of discounts. The scheme is simple to use. All you need to do is show a valid bus or rail ticket. Keep a lookout for window stickers in participating cafés, pubs, bed & breakfasts and other attractions. For categories of “Where to Stay”, “Where to Shop & Visit”, “Where to Eat” and full details, go to www.traveldales.org.uk and click on Discount Scheme. Ribblehead is a small village community set in great walking and hiking country. It can experience sudden and dramatic changes in weather conditions as winds swirl around and clouds and mist descend on to the nearby 720 metres high Whernside and the neighbouring Ingleborough and Pen-y-Ghent fells. It was in this area that workers employed on the construction of the imposing Ribblehead Viaduct set up temporary camps which at times were the home to as many as 2000 souls. There are still clearly visible remains of tramway embankments used during construction phases. The neat well kept unmanned railway station is a stop on the Leeds-Carlisle route and a popular gathering place for photographers and onlookers as giant locomotives hauling excursion trains make an exciting spectacle as they “make smoke” on the long upward gradient. Ribblehead has a comfortable welcoming pub and all the peace and quiet one could wish for in a countryside generous in it's displays of wild unspoiled landscapes. For up to date local news, issues and interests during the Yorkshire section of the walk, tune in to Drystone Radio on 106.9 FM. The communities of Yockenthwaite, Hubberholme, Buckden and Cray are separated by just a few miles and all are within the Parish of Buckden. It's an area of traditional inns including the highest pub in Wharfedale, riverside walks, a medieval church, the Cray Waterfalls and marked by the 700 metres of the Buckden Pike. The Pike is quite a strenuous ascent but well worth the effort when rewarded by wonderful all round views from the summit. A memorial to the Polish crew of a Wellington Bomber which crashed on the Pike during a snowstorm in 1942 stands here. This section of fells, limestone outcrops, caves, potholes and the contrasting green pastures of the valley bottoms clearly define the very nature of the Dales where hardy self sufficient families have lived and worked for centuries. A large number of holiday accommodations, mainly self catering, but including bed and breakfasts and bunk barns are available. Buckden. Village Stores selling general groceries, milk, newspapers, stamps and postcards. Open 6 days plus one half day per week. Includes a tearoom which doubles as a restaurant in the evenings. Telephone 01756-760257. Annual Gala held on third Saturday in June. The ashes of the author J.B. Priestly rest in the small churchyard. An interesting feature of the hand carved church pews is the mouse trademark of Robert Thompson, the “Mouseman of Kilburn”. 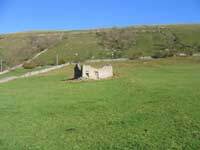 Nearest Post Offices and Cash Points - Kettlewell and Grassington. Kettlewell is a popular well established centre along the many walking/cycling tracks and trails of the Yorkshire Dales. It's a busy thriving community especially in the high tourist season of the summer months and so for those wishing to stay awhile, it's advisable to reserve accommodation well in advance. Kettlewell has a well stocked General Store, Post Office, Cash Point, outdoor clothing shop, three pubs and a good choice of holiday accommodation of all types in and around the village boundaries. Bus services run from Kettlewell to Grassington, Buckden, Skipton and Ilkley. The closest railway stations are Skipton and Settle. General Store Opening Times. Mon-Sat: 8.15am – 5pm. Thursday 8.15am – 12.30pm in Winter. Sunday. 8.15am – 5pm in Summer. 9.15am – 11.15am in Winter. Post Office. Housed in the Youth Hostel and provides a full range of postal services and includes a cash withdrawal facility. Open Monday to Friday 10.30am – 1.30pm. Tel: 01756-760232. Settle – Carlisle Railway. Convenient enough to stay and take a day trip on this remarkable railway. Medical Services. Grassington Medical Centre. 01756-752313. Dental Services. Grassington Dental Centre. 01756-753782. Both the above services are housed in the same building which is open 8am to 6pm all year. 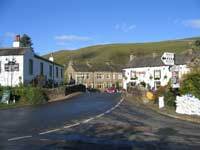 Linton ranks as one of the prettiest villages in the Yorkshire Dales. It's a neat collection of stone cottages in a riverside setting, a 12th C Church, a nearby medieval castle, encircled by quiet country lanes and close to the limestone fells. The one pub serves meals seven days a week from mid-day until 9pm and a bus service connects with the nearest railway station at Skipton. Bed and breakfast and self catering holiday accommodations are available in and outside the village plus a caravan and camping site a few miles away. The small town of Grassington, standing close to the River Wharfe, is one of the many popular stop-overs on the Dalesway Walk in addition to being a well visited tourist destination. 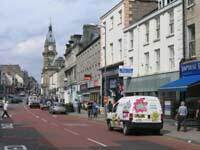 It has a good range of shops selling foodstuff, clothing, gifts, arts and crafts, plus a selection of cafés restaurants and pubs. 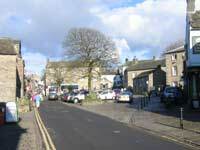 Grassington is linked by bus with Skipton, Ilkley, Buckden, Linton and other nearby villages. It has a Bank, Post Office, Cash Point, Tourist Information Centre and Public Toilets. The month of June sees the number of visitors increase when the annual Grassington Festival takes place presenting a selection of Arts and Music performed by International artistes of world standing. This is a time of strong demand for holiday accommodation and so book early. See Linton (above)for bus service information. Bank and Cash Point. Barclays, Main Street. Post Office. Main Street. Tel: 01756 752226. Tourist Information Centre. Situated in the National Car Park. Tel: 01756 751690. Dental and Medical Centre housed in the same building. Tel: 01756 753782 and 01756 752313 respectively. Burnsall is a riverside village not too far from “Wuthering Heights” countryside. Together with Linton it also has been acclaimed as the prettiest village in the Dales and stands within the Barden Triangle of Linton, Burnsall and Grassington. Legend speaks of supposed supernatural associations with the nearby Trollers Gill, Elbolton Hill and Dibbles Bridge. (dibbles=devils) The bridge in the not too distant Kirkby Lonsdale in Cumbria is so named. Burnsalls 16th C bridge over the River Wharfe is a much photographed village landmark together with the 12th C church of St: Wilfrid. A couple of pubs serve a varied menu of locally reared food and the mini-supermarket on the Green stocks a whole range of provisions as well as selling a very welcome hot home-made soup on winter days and a year round selection of fresh sandwiches. 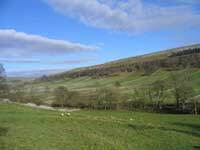 Burnsall is often chosen as the first over night stop (or longer) by walkers beginning the Dalesway Walk from Ilkley. Accommodation in and around is plentiful but demand can be high at certain times of the year. The nearest railway station is Skipton. Summer 8am – 7pm. All week. Winter 8am – 5pm. Closed Mondays. Tel:01756 72 0000. Appletreewick, Barden, Bolton Bridge, Bolton Abbey and Addingham are truly representative of traditional Yorkshire village communities. 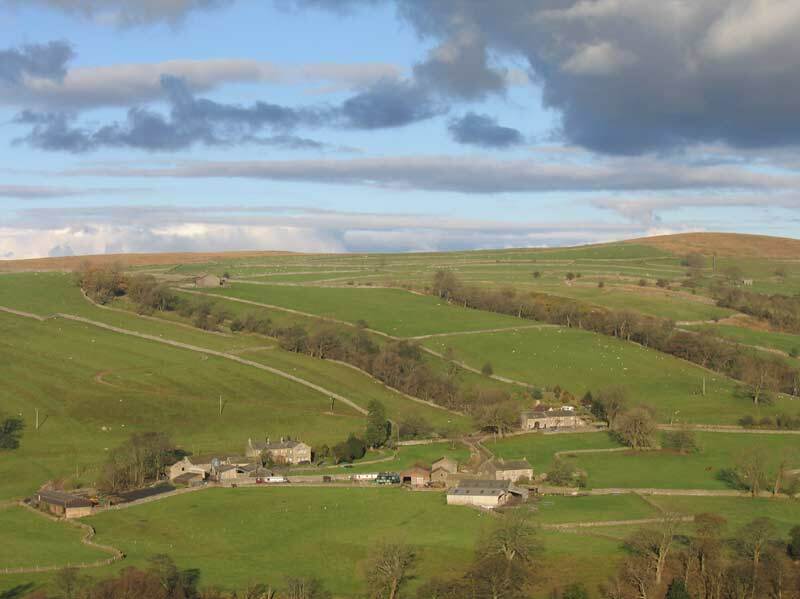 Together they present a large selection of holiday and overnight accommodations with choices of hotel, bed and breakfast, self catering, caravan and camping sites, and bunk-houses, all in and close to the Yorkshire Dales National Park and the ever popular Bronte Country. A wealth of diverse attractions includes steam railway rides, fishing, horse riding, golf and naturally, very many woodland and riverside paths and trails. Frequent passenger rail services operate from and to Skipton and Keighley from where the villages are linked by bus services. Addingham is the larger of the communities with a fair number of shops, a delicatessen selling fresh sandwiches and hot and cold drinks (no seating), five pubs serving meals, restaurants, and a Post Office. Ilkley is a medium sized town whose combination of shops, restaurants, pubs, Bank, a Post office and the open spaces of the nearby talked about and sung about Ilkley Moor, and the Yorkshire Dales beyond play a large part in Ilkley being recognised as an important tourist centre. It stands within easy reach of the motorway network and is linked countrywide by regular train and bus services. There's a plentiful choice of overnight or longer stay holiday accommodations both within the town and in the surrounding districts but it is still advisable to make a reservation well in advance as the area becomes busier during annual festival events. Tourist Information Centre - Tel: 01943-602319. Post Office - Tel: 01943 600099. See Alfred Wainwright's “Walks in the Howgills” published in 1972. The Dalesway. Hill Top is an attractive, modern detached house on an elevated 3/4 acre site with ample secure parking and an adjacent field with extensive views over the lakeland hills. Our most popular bedroom has a large balcony from which spectacular sunsets over the Old Man of Coniston can be observed on two to three evenings a year if you're lucky! There is free wireless network available in all rooms. There are 3 bedrooms to choose from, 1 enormous downstairs en-suite bedroom with 4 poster bed and private terrace, and 2 upstairs rooms, 1 with ensuite bathroom and 1 double room with balcony. Prices start from £80 per room, including full English breakfast served in the garden conservatory between 0800 and 0930. If you ask nicely and don't spill the coffee, you can have a continental-style breakfast in your bedroom, on the balcony or on the terrace! For an additional fee we offer private and exclusive cruises on Windermere in our small 'Seastrike' aluminium day-boat. Exciting destinations include Bowness, White Cross Bay, The Langdale Chase Hotel, The Wateredge Inn at Waterhead and the spectacular Wray Castle. Newbarn is beautifully appointed, having recently undergone extensive refurbishment. It is conveniently situated between the Lake District and the Yorkshire Dales, and is only 3 miles from Sedbergh and 8 miles from Kendal . This quiet location offers beautiful views, yet benefits from the proximity of local shops and Pubs. It is a most tranquil retreat for those who want to get away from all the stresses and strains of everyday life. 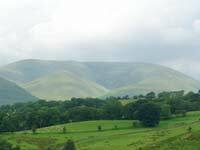 You will also find nearby some good walking & cycling areas, Howgills, Dalesway (1 mile) as well as five local golf courses. The kitchen appliances are a fridge, a halogen Hob, with a fan oven and separate grill. There is also a microwave oven and lots of storage space. The dining table has enough seats for 6 people. The utility room contains a washing machine and some drying space. Upstairs you will find a spacious living room with TV, video, a working fireplace, a 3 seater sofa and an armchair. The three bedrooms are also on the first floor, one double with enough space for a travel cot, one with two single beds and the last one with a bunk bed. The bathroom with toilet and corner bath/shower is also located on this floor. A travel cot is available for families with very young children. A new website is under development. Please contact Mrs Thompson for further details. Thwaite Farm and Cottage are situated alongside the River Lune close to the hamlet of Howgill and about 3 miles from the ancient market town of Sedbergh. 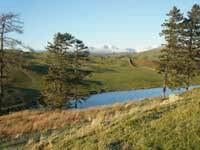 The cottage has magnificent panoramic views of the Howgill Fells and a wide variety of bird life. The farm is a working farm with beef cattle and sheep. Thwaite Cottage adjoins the end of the farmhouse and has recently been rebuilt and fully equipped. It is self contained and sleeps 6 people with accommodation on two floors. Kitchen / dining room, living room, two double bedrooms and toilet with shower. There is a sofa bed in the living room. The rooms are centrally heated with an oil stove in the kitchen and radiators in other rooms. Duvets, blankets and bed linen are all provided. Towels are also available at £5 per week. There is a washing machine and a drier. The water supply comes from its own spring. A public telephone is situated about half a mile away. Fishing rights are available by arrangement. Pets by arrangement at £10 per week on the understanding that they are kept under control at all times. Cots and high-chair are available on request. Ample private parking and a large lawned garden with furniture on the premises. A deposit of of £25 per week is required at the time of booking and the balance paid 4 weeks prior to the start of the holiday. Special arrangements, Christmas and New Year may require a deposit of up to 50% of the total cost. Please enquire for further information. Mrs Dorothy Parker welcomes you to Thwaite Cottage. Nestling in the slopes of the Howgill fells Bramaskew farm is inside the Yorkshire Dales National Park offering beautiful scenery and views. Bramaskew farmhouse Bed and Breakfast offers en-suite accommodation in the recently extended farmhouse. Bramaskew farm is a family-run working beef and sheep farm. Stunning views of the Howgill fells and The Lune Valley, situated on the Dalesway footpath. One king size double room and one twin room are available - both en-suite and with TV and tea and coffee making facilities. Drawell Cottage is well equiped with modern appliances to make your stay a comfortable and enjoyable one. The lounge has oak beams and panelling and electric wood effect stove within a rustic brick inglenook fireplace. There are CD/cassette player/radio, colour TV and video as well as stunning views of the Howgill Fells and the Lune Valley. The bathroom has a bath and shower with towels provided. One twin bedroom and one king sized bedroom. Both rooms have radiators for those colder months, ample wardrobe and storage space, bedside tables with lamps and spectacular views over the fells. In the kitchen you will find a washing machine, tumble dryer, microwave with a fridge and freezer located in a seperate pantry. There is a combi bolier which provides a plentiful supply of hot water and all electricity is inclusive in the price. Bed linen is provided and a cot and highchair are available. We also welcome well behaved dogs. Walkers and others visiting the Howgills, Yorkshire Dales or Eastern Lake District can enjoy cottage-style accommodation in a location of total peace and solitude at Foxhole Rigg Barn. 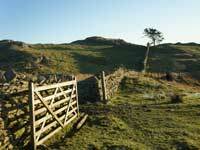 Guests can walk directly into the Yorkshire Dales or onto the Howgill Fells. 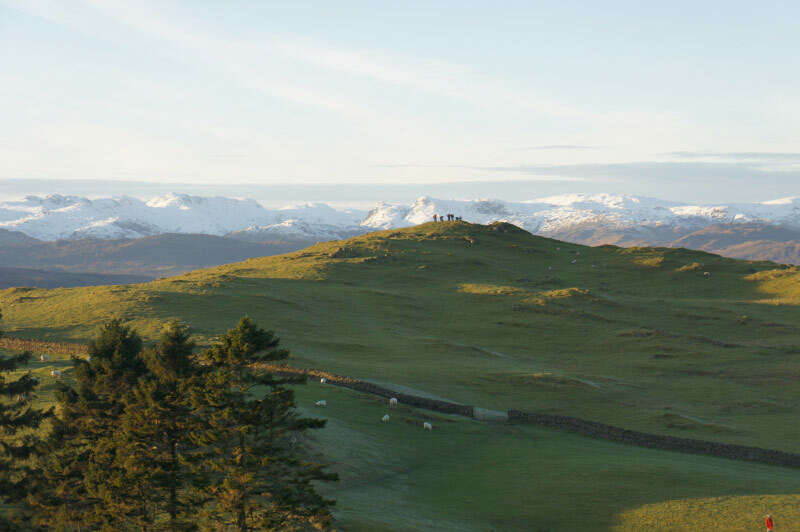 The beautiful Eden, Lune and Rawthey valleys are all easily accessible, and Kendal (the gateway to the Lake District) is only 30 minutes drive away. Foxhole Rigg Barn offers a combined lounge and dining area, with picture window views onto the surrounding hills. There is also a sitting area on the grass in front of the Barn, offering total privacy and seclusion. You may even see deer and curlew among the many wildflowers in the traditionally farmed meadow. There are two bedrooms, with twin beds (though these can be made up as doubles). Both rooms have ensuite bathrooms, one with a shower, the other having a bath. The cooking facilities include an electric cooker, microwave, fridge/freezer, toaster and cafetiere. We provide coffee, tea, milk, cereal, bread and eggs so that you can enjoy relaxed breakfasts during your stay. The accommodation is centrally heated and has a DVD player and colour TV. All towels and bedlinen are provided. Well-behaved dogs are welcome at Foxhole Rigg Barn. However, do note that our property is surrounded by farmland, with sheep and cattle grazing throughout the year. Guests are asked not to smoke in the Barn. A cosy 3 bedroom (sleeps up to 7) cottage 300 metres from Dales Way, 3 miles from M6 jn 37 and 2 miles from Sedbergh. Overlooking Howgill Fells. Enclosed garden to rear. Well behaved dogs welcome. Access to River Lune and fishing. For all enquiries, please contact Mrs kate Thexton. Address: Weathercock Cottage, Nr. Sedbergh, Cumbria. Station House was built in 1925, at the height of the expansion of the Threshfield/Grassington railway line. Station Masters have lived in the house since it was built. When the line closed in 1968, it was sold by the railway, and is now lived in by the last Station Master's son, Pete, his wife Becky, and the rest of their family, David and Amy. In 1991 the Bed & Breakfast room was built as an extension on to the house, with its own shower room, staircase and access to the back door. It is a twin bedroom, with tea/coffee facilities, easy chairs and television. The views from the window look across to the fells and Grass Wood, and over to Grassington. Station House is within easy walking distance of very good eating houses, both in Threshfield and Grassington. The house is very close to both the Yorkshire Dales Cycleway, and the Dales Way. The walking in the locality is very extensive and full of interest, from walks along the river Wharfe, to walks across the fells on either side of Wharfedale, into Littondale, or over the top into Nidderdale or Malhamdale. It is beautiful in all directions! We have maps and books to help you explore the area at your leisure. Lythe End is a stone built detached house on the western edge of Grassington village. Situated in a quiet location yet only a three minute walk to the village centre Lythe End offers homely accommodation with fantastic views up Wharfedale. We make an effort to support the local economy, sourcing produce locally, supporting local businesses and public transport (10% discount if you arrive and leave on foot, bicycle or public transport). See us in the Lonely Planet. Off road parking, drying facilities, secure cycle storage, rod room and packed lunches are available. The ensuite family room sleeps three people in a double and single bed and has views across the valley. The room is centrally heated and has tea and coffee making facilities, hair dryer and clock/radio. The ensuite has shower, basin and WC. The double room is centrally heated and has tea and coffee making facilities, hair dryer and clock radio. The private bathroom is situated next door and has bath, shower, basin and WC. All rooms are wireless enabled. Whether you arrive on foot or by car, Chris & Pam will welcome you warmly with a cup of tea or coffee, preferably on the terrace (weather permitting) where, often as not, you can watch lots of pheasants feeding. Breakfast is served around a large gate leg table where a hot compote of fruit is followed by cereals and a full English breakfast. Porridge is also available on request for those cold winter mornings. We hope this will set you up for the day to enjoy walks and places of interest in the area. We welcome children of seven and older, and have a large video and DVD selection for them to enjoy in the television room, or they can safely explore the gardens. Well behaved dogs are also welcome. We have a stretch of fly-fishing on the Wharfe – three minutes away. Camping in the bottom meadow is also available, although guests are advised that facilities are minimal. Accommodation is offered in three elegant and comfortable en-suite ground floor bedrooms. They all face west towards Hough Wood where, in May, you will see a stunning blanket of bluebells. We've taken great care to offer all the comforts you could wish for including plenty of towels, pure cotton linen, radios, hair dryers and shaver adaptors. Tea, coffee, hot chocolate and biscuits are available in the rooms for which we provide a thermos of fresh milk each evening. All bathrooms have power showers and a bath to let you soak after a long day walking. Wireless internet access is available throughout Knowles Lodge at no extra cost. Jaynie & Michael Smith welcome you to The Cottage Tea Room, a deluxe Bed & Breakfast in the heart of the Yorkshire Dales. Ideally situated within the Yorkshire Dales in the village of Kettlewell, The Cottage Tea Room features two deluxe double bedded rooms, each enjoying glorious views across the dale. Parking: On arrival you will recieve a National Parks parking permit which allows free parking in some of the National Parks car parks in the area. Bedrooms: One, a four-poster, the other a half-tester, both are fully en suite with wirlpool spa baths, TV, video and DVD, tea and coffee- making facilities, his and her's bathrobes- what’s more there’s a glass of sherry waiting to greet you! Breakfast: A hearty all you can eat english breakfast is included in the nightly rate and served everyday between 9 and 10am. Starbotton is a small limestone village, 15 miles north of Skipton situated midway between Kettlewell and Buckden in the beautiful countryside of Upper Wharfedale. The area is renowned for its spectacular walks, from the long distance Dales Way to shorter walks between Kettlewell and Buckden and many other circular walks. You will be guaranteed a warm welcome at this family run inn by Mike & Eileen Senior. The old stone building has been a pub for over 170 years, although the original building dates back some 400 years. Nestled in the beautiful village of Starbotton, near Kettlewell in the heart of the Yorkshire Dales. The cosy bar has a large stone fireplace, oak beams and a flagstone floor. Just off the main bar is a small dining room where you can relax and dine at your leisure. We keep a well-stocked cellar of Black Sheep and Taylors ales. There is a wide selection of malt whiskies. Why not stay in our newly renovated rooms with ensuite shower room, full central heating, television and tea/coffee making facilities. There is a private car park where you can leave your car to go fishing for the day or simply enjoy the splendid scenery on foot. We have an extensive menu with a wide variety of starters and main courses from just £3-95. Please see our Food & Dining section for more information. The quality of the menu and well kept ales together with the welcoming atmosphere has been recognised by many of the leading Pub and Food guides. A warm welcome awaits you at the Blue Bell Inn, Kettlewell’s oldest and best loved hostelry, with its log fire, excellent local-brewed ales and substantial Yorkshire style meals, everything the walker looks forward to after a long day on the hills and riverside paths of lovely Upper Wharfedale. Relax in the comfortable surroundings with a drink, a good read, a traditional pub game or quiz and entertaining conversations with the friendly hosts and genial acquaintances, old and new. The accommodation at the Blue Bell comprises comfortable double and twin en-suite rooms with tea making facilities, hairdryers, televisions and Wi-Fi broadband, and there is a car park for residents. After a good night’s sleep, start your day with a big Blue Bell breakfast with local eggs, bacon and sausages with ‘bottomless’ tea and coffee. Dogs are especially welcome, including in the rooms, and well-behaved children are catered for with a children’s menu and games. Contact us for reservations and for seasonal offers on mid week and longer stays. Ample space for dining, chatting and meeting friends, summertime seating and an adjacent river.